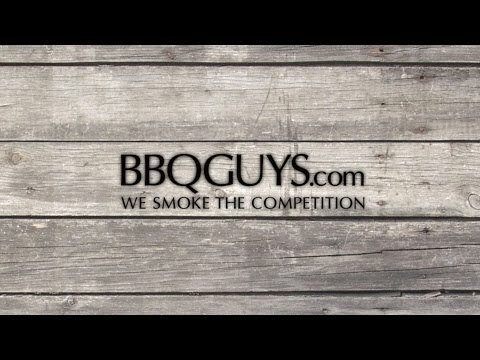 Crafting American-made premium grills for over 75 years, Fire Magic is dedicated to providing you with a quality outdoor cooking experience. From the moment you light your Fire Magic Aurora grill, you know you are on to something great. This Fire Magic built-in gas grill features 304 stainless steel construction for lasting quality, and sleek styling with a seamless control panel and integrated digital thermometer with meat probe. 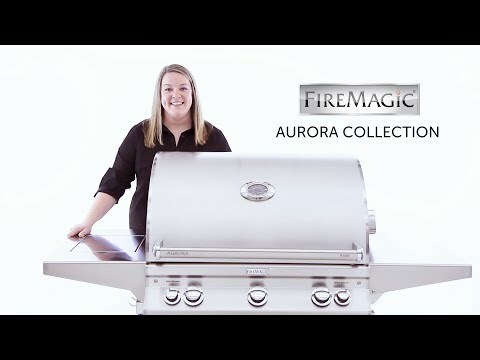 This Aurora gas grill features a spring-assisted, double-walled tear-drop hood, a removable warming rack, a 12V electric hot surface ignition with flash tube back-up and a 12 inch deep firebox for complete convection cooking. Aurora gas grills also include blue back-lit control lights. The blue LED bezel lights feature a flame icon that brightens to red as you turn the knob so you always know which burners are lit. 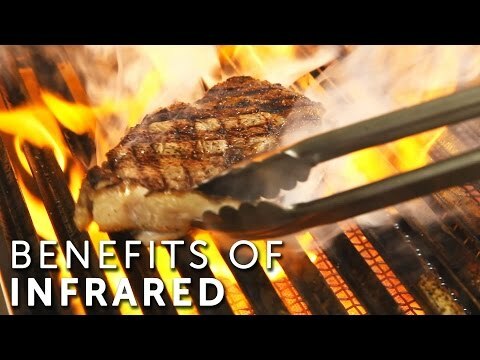 The one main infrared and Two cast stainless steel E burners produce a total of 75,000 BTUs on the grilling surface, and the stainless steel Diamond Sear cooking grids provide an ample 660 square inches of grilling area while a secondary grid supplies 228 square inches for a total of 888 square inches. This grill also features a 19,000 BTU stainless steel rotisserie burner with grill light and rotisserie kit. Cleaning the grill is easy with the included grid lifter and the disposable drip pan collection system that is designed to prevent grease pan flare-ups. A 120V power source is required. 30 X 22" 32 1/4 X 20 1/4" 33 1/2 X 21 1/2" 32 1/4 X 20 1/4"
32" 34 1/2" 35" 45 3/4"
23 1/2" 22 3/4" 25" 22 3/4"
12" 10 1/8" 15" 10 1/8"